Bamboo is Eco-friendly material for floor and is renewable. This is why the material has gained so much reputation. Classified as grass, bamboo grows fast on the earth. Much unlike other kinds of traditional hardwoods, bamboo can be harvested every 3-4 years. If you are confused what material of floor to choose, you can go for bamboo. The fact that it is highly renewable makes it a preferred material choice for floors. There are several species of bamboo and primary ones are used for the making of plywood and flooring. Just in the duration of 50 days, Moso bamboo can grow till the height of 78-80 feet and on an average 45-50 inches in a day. Bamboo flooring can be availed in a variety of designs and patterns. Reviews on this type of floor are positive and now it has gained a good reputation in the flooring industry. As mentioned earlier, bamboo is rapidly emerging as popular choice for flooring. The kind of appeal that bamboo floors have is next to none. It has an eye-catching pattern which is formed due to darker nodes. Bamboo flooring is a fantastic option to choose; but, before you consider using this type of floor, it is important to know everything about the maintenance. Consumers are now becoming environmental friendly and spend their hard-earned dollars on home products which do not cause harm to the environment. In the realm of home flooring, bamboo floor is the rising trend. It is far better than traditional hardwood floor. The natural wood is environment friendly. It is stronger and tougher than many other flooring materials and hence you can go for it Bamboo is also resistant to climatic changes, expansion and contraction. Under humid conditions, the material stays unaffected. Bamboo has great tensile strength and is strong. 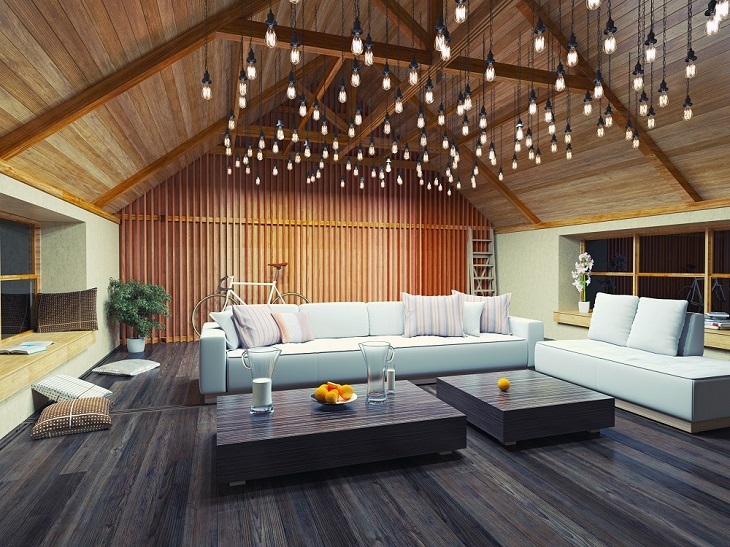 It has now become the latest trend in interior designing and homeowners looking to make a statement adopt only bamboo flooring. Bamboo is popular for beautiful golden tones and rich earth tones. Make sure there is no formaldehyde used as the binding compound. Cheaper binding agents constitutes formaldehyde. If this is used as the binding agent, there can be indoor air pollution and so you need to be careful. Toxic gases may be released to your indoor air. Among all the hardwood species, bamboo is the best for it is Eco-friendly nature and it grows easily. It is not harvested from equatorial rain forests. By choosing bamboo flooring, you reduce demand for conventional hardwood species that grow in equatorial rain forests. This is how you can save the future generation. If you are inclined to choose bamboo floors, you will be glad to learn that, it is available in varied designs right from horizontal bamboo, vertical bamboo, scraped or natural bamboo. It is an ideal solution when it comes to the conservation of forests and trees. Owing to its visual appeal, bamboo is preferred widely. It is pleasant, adds warmth to the area and makes the space inviting. As it is moisture-resistant, you may also use bamboo flooring for bathrooms and kitchens. But, make sure you don’t leave water on the surface for a long time. Water logging can cause some damage to the floor. Avoid any direct exposure to the rays of the sun. Choose the flooring material of Moso bamboo for it has the maximum hardness. Some of the manufacturing processes make softer version of bamboo flooring. It all depends on the area where you want to use it.